The AquaPyro Handbook VIDEOBOOK is now available on Youtube, Vimeo & Facebook. Check out the cool video version of this handbook. 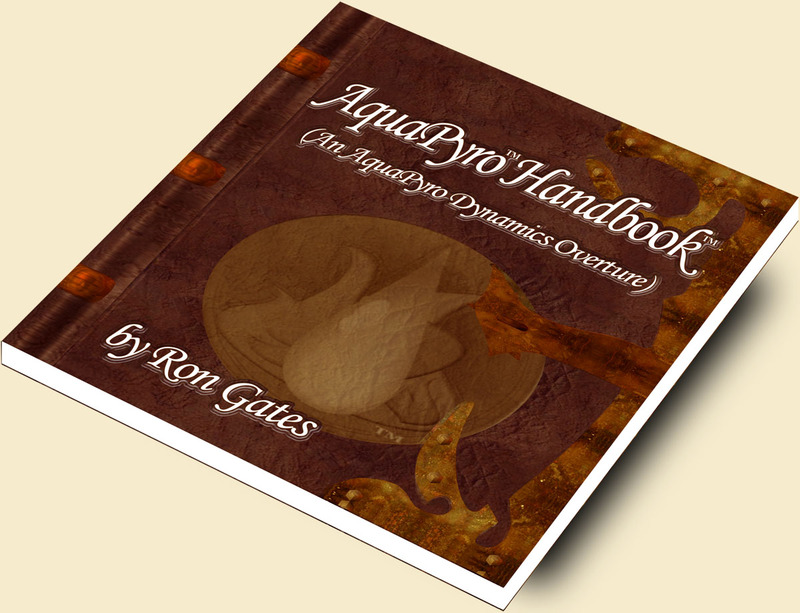 AquaPyro Handbook, AquaPyro Dynamics, AquaPyro Center, AquaPyro, Aquaian, Pyroian, and Pyronoia are trademarks of the AquaPyro Center. All Rights Reserved. 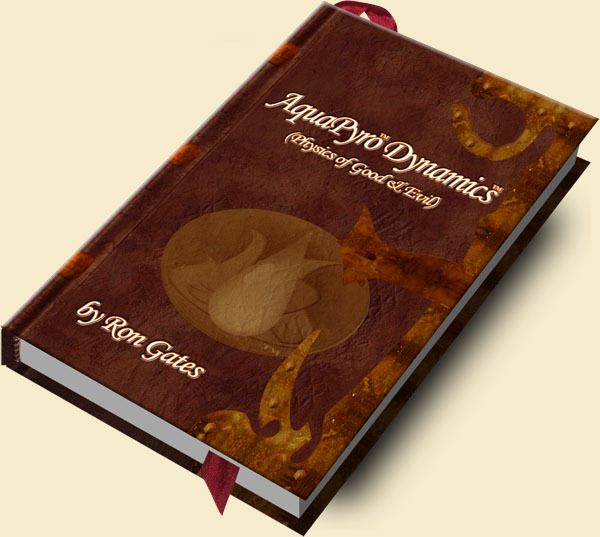 AquaPyro Dynamics is a study of the watery and fiery sides of being a human. Because of this duality (construction and destruction) found in the human soul life can become confusing and frustrating. It used to be said you have a little devil on one shoulder, telling you to do bad things, and a little angel on the other shoulder, telling you to be good. You are about to learn the difference between your creative side and your destructive side. Standard schools and education do not break this side of being human down so it falls on AquaPyro Dynamics to fulfill this need in all humans. You all have the potential for good and bad, creative and destructive yet your watery side and your fiery side have been a mystery until now. 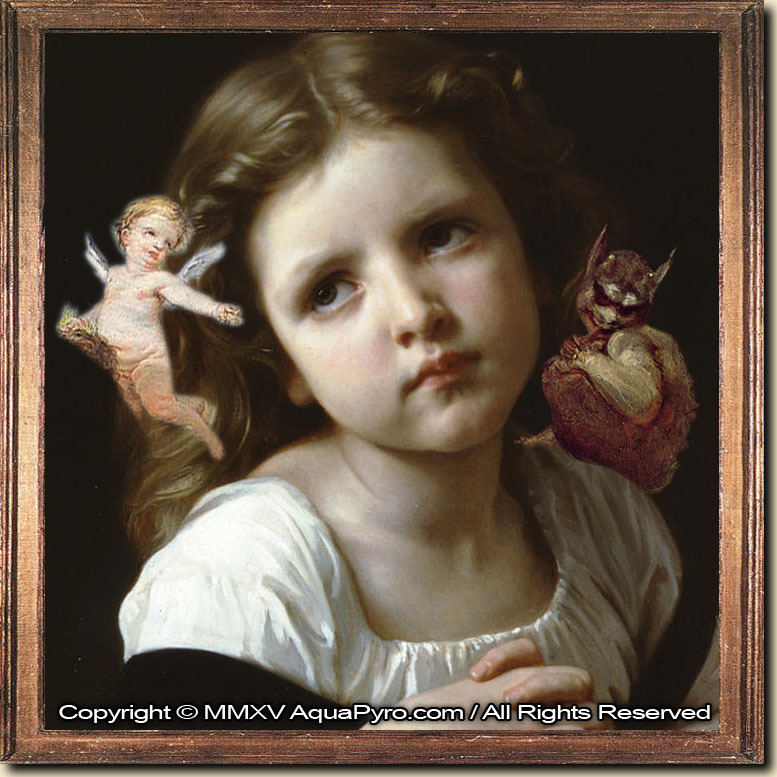 These two basic sides begin with the creative and watery (feminine) side: the Aquaian side. The second is the destructive and fiery (masculine) side: the Pyroian side. A Pyroian has a destructive, fiery spirit and can be very egotistical. The Pyroian will try to rule with an iron fist, will kill and destroy to get his way and doesn’t understand the meaning of mercy. The Pyroian hides their natural emotions and usually dies with no love in their lives. An Aquaian has a creative, watery spirit and can be very humble. 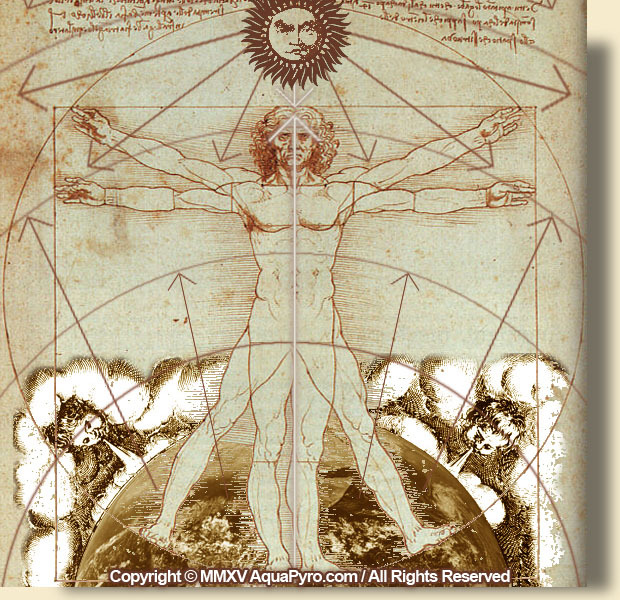 The Aquaian will rule with an awareness that cooperation between the people and the land will make a balance and because of empathy there can be found mercy. The Aquaian embraces the feelings and emotions that come with life and more deeply enjoy the limited time they have. Humans have both sides. With the right education you can better decide, once and for all, if you should spend your life creating or destroying. If you should be good or bad. If you should be Aquaian or Pyroian. Finally, there is a book that breaks down these two basic choices. Before deciding on becoming an Aquaian or a Pyroian each of you must ask yourselves a question. What do you really want out of life? When it’s all over, and you’re lying there struggling for your last breaths, what will be the life you look back on? What will you be known for? Every human before you couldn’t escape this and neither will each of you. Many have felt regret. You have been magically granted a life and a limited time to explore, learn and hopefully master a balance before your time is up. Because you are not issued with instructions, and many have wandered off the edge, AquaPyro Dynamics should suffice as a basic foundation, built of solid reality, which you can then build your creative self. For thousands of years humans have wondered about the magic behind life. They looked at the world around them and wondered what could have made such amazing things? They examine themselves and wonder even further into who could have made all this? It’s an age old question that’s been answered with many gods through the years but it’s time to finally see what these gods look like. Up until now they have been invisible and humans were mere mortals which could never get to see them until they died. In the past humans wanted very badly to know what God looked like. 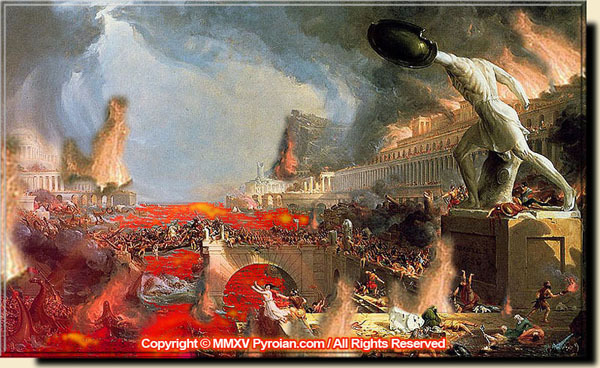 They imagined many things including the images we see in historic art. They forgot the original reason they praised Him was because He was responsible for all the amazing life and the one that gave them life. This God represented the creator of all the amazing things. Well, this creator, that’s admired so much, is special because of all these creations. You can finally realize that you don’t have to see the creator because the creativity, that makes the creator special, is flowing through you as well. The same might be said about the evil side of humans. 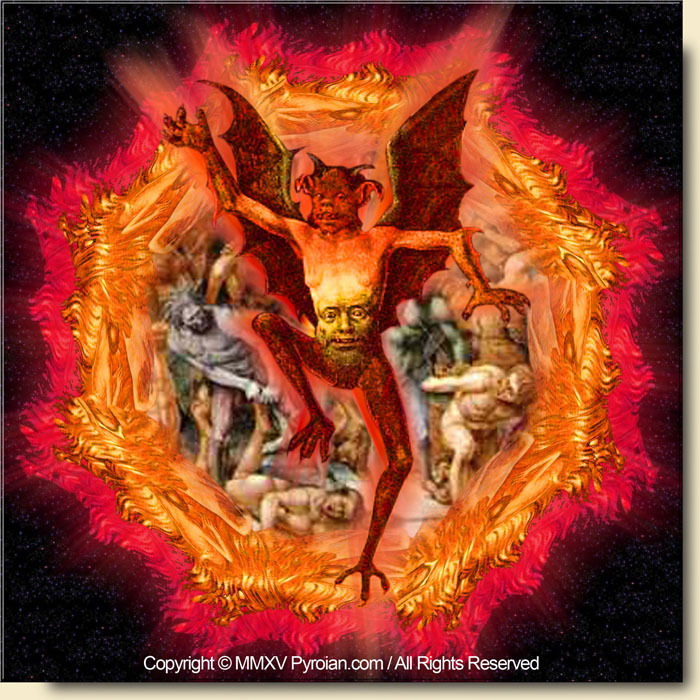 God’s arch nemesis (enemy), the Devil, is destructive and makes humans do bad things. He burns in their minds and turns them as destructive as himself. History shows the pain, suffering and murder of fellow humans that the creator was not responsible for. Until now this god and devil were thought to live in a different dimension. Invisible to mortals. That they can see you but you can’t see them. Well, that is one of the Devil’s many deceits. These two powerful influencers, on your souls, are very much visible. They are the two biggest things right in front of your eyes. Look down and then look up. The two largest beings that influence you are the planet and the sun. 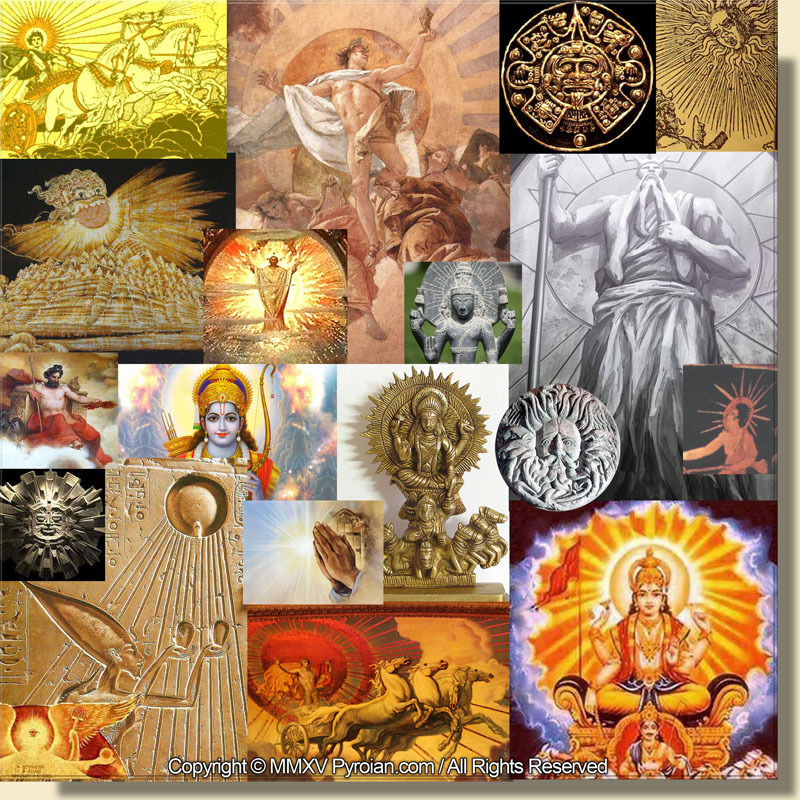 Since they each are a higher power and each have influences over humans they are considered gods. A creative god and a destructive god. For years humans would look up and would pray or ask god questions. God was believed to live in the heavens above the clouds. God would look down on you and make many things happen because this god was all powerful. Humans would pray and even burn sacrifices to God because if he wasn’t happy he would inflict earthquakes, hurricanes, drought and other happenings. Modern humans can now see that the sun causes all sorts of natural occurrences on the planet in simple ways like moving the tides and air to bigger ways such as earthquakes, hurricanes and droughts. If the sun has so much influence on life and movement here on the physical planet could this sun also have influence on your minds and souls as well? If the fire and brimstone god (Devil) is indeed the grand deceiver could it be he’s deceived humans all through history into thinking the radiating god above the clouds is the “good” god? Before answering this question let’s examine the second mass being on this heavenly stage. The planet Earth is unlike any other planet. The Universe is full of planets but the suns have attacked them until most are dead or dying from solar influences such as radiation and heat. They all suffered through what old religions called Armageddon. This unique planet has created a system to survive the solar destruction (using a growing number of plants.) Earth is able to capture the destructive radiation before it reaches her tender skin. These plants use photosynthesis to harness the energy that would have heated the planet up. Each leaf uses the powerful beam of light to bounce elements into new structures such as carbohydrates and sugars. This solar energy is now converted from inorganic radiation into organic matter (like a charged battery) and can now be used to power life. All life on Earth is protected from the sun’s fiery radiation in this way and the magic that the plants have mastered is much beyond anything the smartest human scientist can comprehend. Earth’s intelligence and mastery in creating intelligent life is seen in the vast variety of plants, insects and animals that comprize her body. When you realize that even the smallest bug or microbe has intellegence, emotions and soul you’ll also realize even the bigger beings, such as planets and suns, have thoughts, feelings and spirit. So the question if these mass beings are alive comes to an overwhelming conclusion, yes. Earth not only is alive in ways you can see but when you examine her intelligence, wisdom and creativity you’ll notice she is very special indeed. It’s Earth that is the creative, nurturing, “good” god. In a universe where matter is manipulated by suns you now find a planet that manipulates matter in a different way. The suns have no mercy for the specks of matter which are destroyed and burned for their photons. Earth instead helps the specks to wiggle together to make more complex and creative forms. The difference is between creative and destructive. 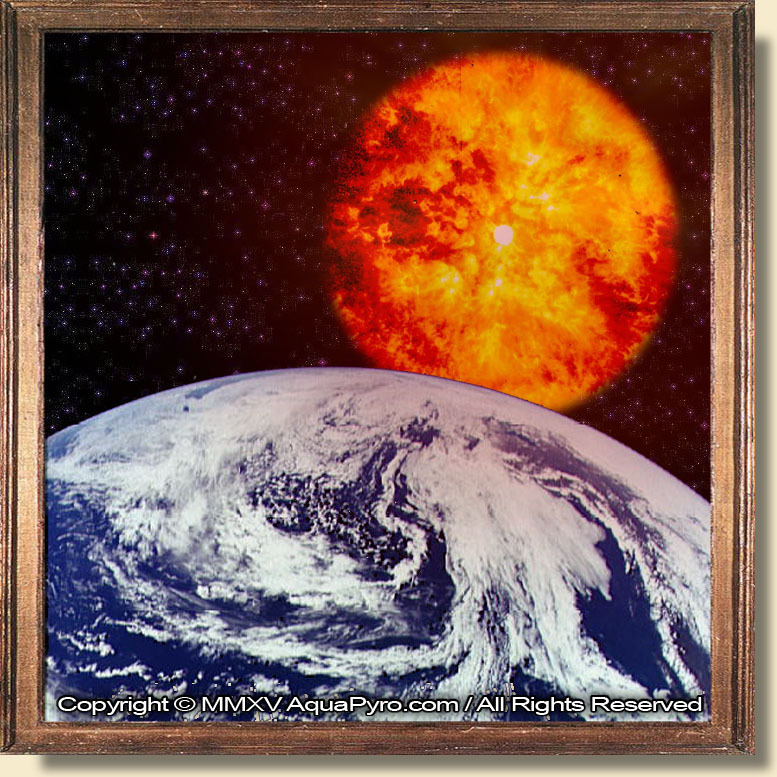 The sun’s fiery nature is destructive including the radiation it bombards the planet with. 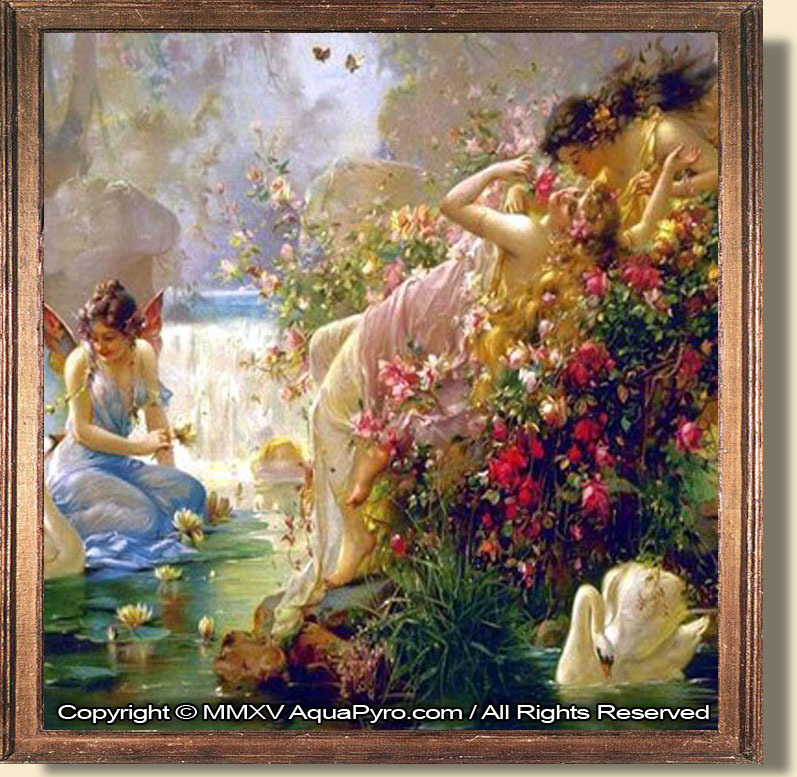 The Earth’s watery nature is creative including the creations that protect her from the destructive radiation. Humans find themselves in the middle. They are tugged back and forth by these two basic entities. Humans have a creative, earthly side which you can see in their nurturing and they have a destructive, fiery side which you can see all through a violent history. So which are you? If you had to pick your allegiance to a higher god which would you pick from the two main choices? There is the one that created you and gave you life. She is the planet that you are a part of. The other is the fire and brimstone character that tries to fool you into things that hurt in the end. You get burned. So which god would you worship? The Earth or the Sun? Do you want to help keep a water planet or heat her up until she is a fire and lava planet? If global warming leads to melting the thin skin which humans live on do you really want to die in fire? Constructive or destructive? Water or fire? Humans can make Earth a heaven or a hell. Which would you prefer to be, an Aquaian or a Pyroian? This war between the creative Earth and the destructive Sun has been going on for millions of years before humans were even around. Humans have become soldiers of the Sun and have attacked Earth from the inside with fire and nuclear power. As the Sun and humans advance global warming there is only one final outcome; raising the molten lava to the surface of the planet thus burning everything in a grand Hell/Armageddon. At this rate of global warming it’s not that hard to melt the tectonic plates which humans live on as they are only a few miles thick and float on this liquid lava. Do you want to help the Sun or help the Earth? Do you want to die or live? Should this be a destructive planet of fire or a creative planet of water? Before you commit you need to collect all the facts. This is a lifetime decision that will lead to a lifetime of living as a destructive, fiery soul in pain or happily as a creative, watery soul at peace. Read, listen or watch AquaPyro Dynamics and open your mind to a whole new attitude and view of this world you live in. It’s up to you to heal the planet, so she can survive long into the future, but it starts by first doing the same for yourself. Click here to visit our website and the many forms of AquaPyro Dynamics available.